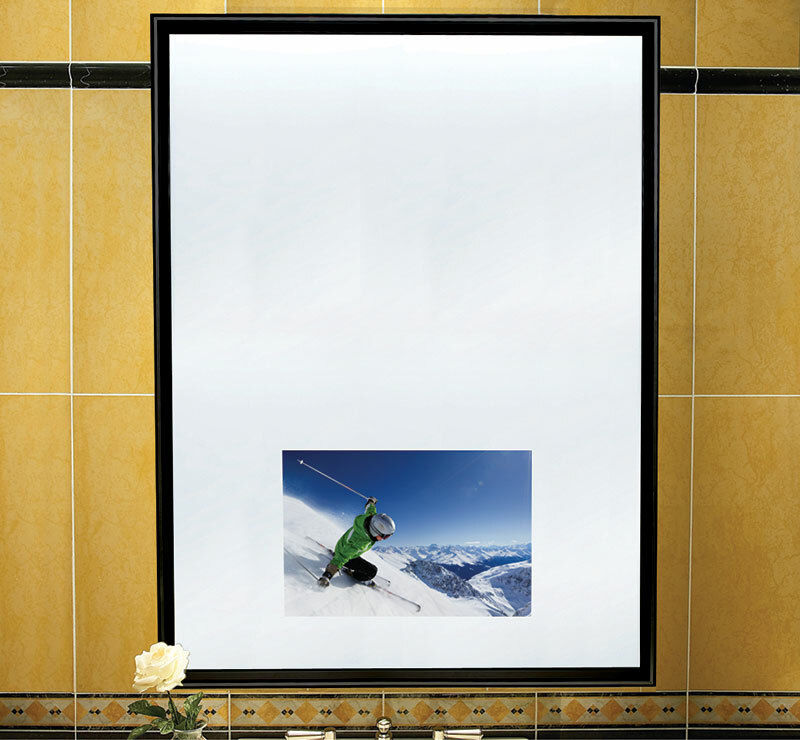 This innovative concept adds WOW to any room by integrating a 15 inch TV into a mirror. 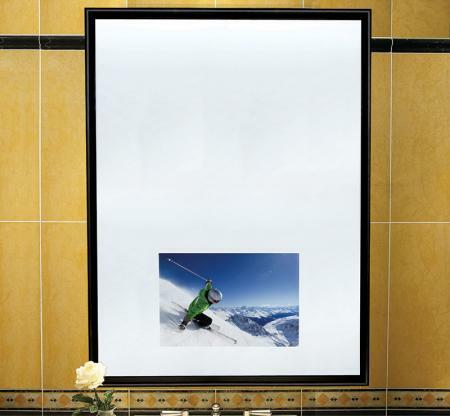 When the TV is on, a high quality image is displayed; when turned off, the TV fully vanishes. 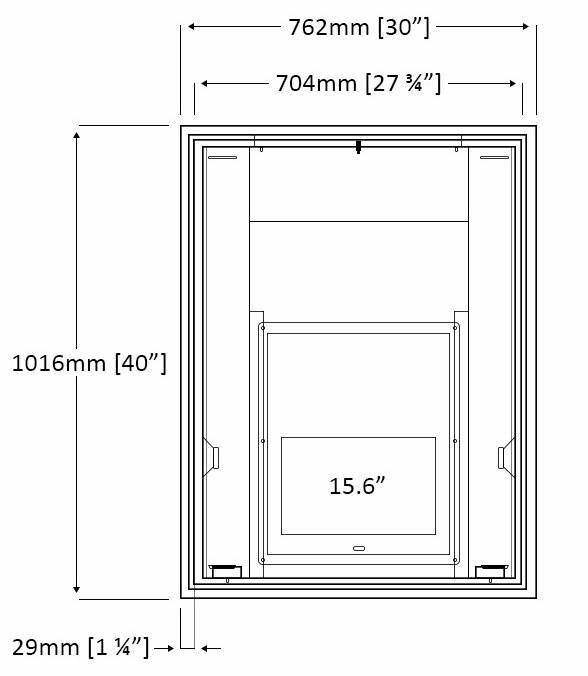 This model is popular in lounges, sports arenas, and in luxury residential bathrooms.